I had the opportunity to try out at least 5 different printers. All of them had sifgnificant backdraws like missing heatbed, price and noise. They all did there job anyway and my Fabrikator is working pretty much „fire and forget“ all the time. Nevertheless I´m tempted to create my own printer just for the sake of adding it to my collection of valuable experiences. 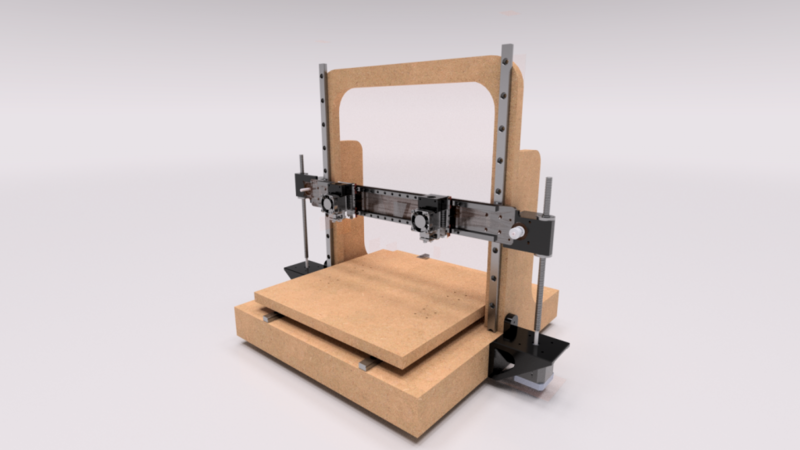 I came up with T-Bot first iteration closely related to prusa´s I3 framewise. I didn´t liked the Z leadscrews standing out that much and too far away from the linear slides so the second version focused on making this a little more aerodynamic. 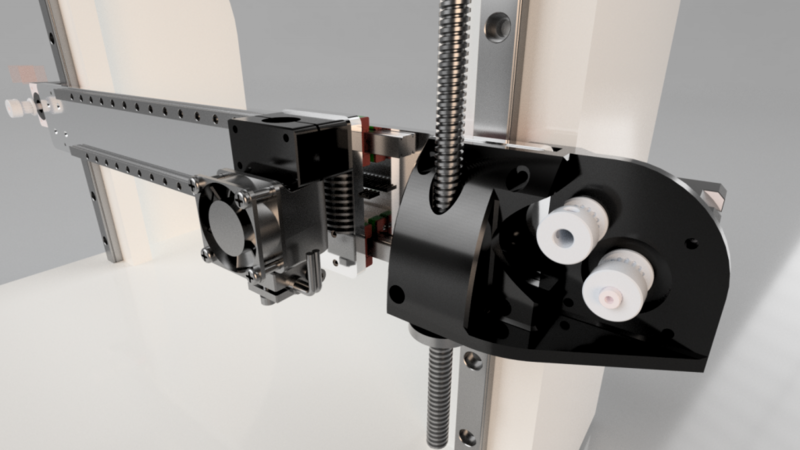 I am aiming for a precise as possible head and bed positioning mechanics with dual extrusion the bowden way. 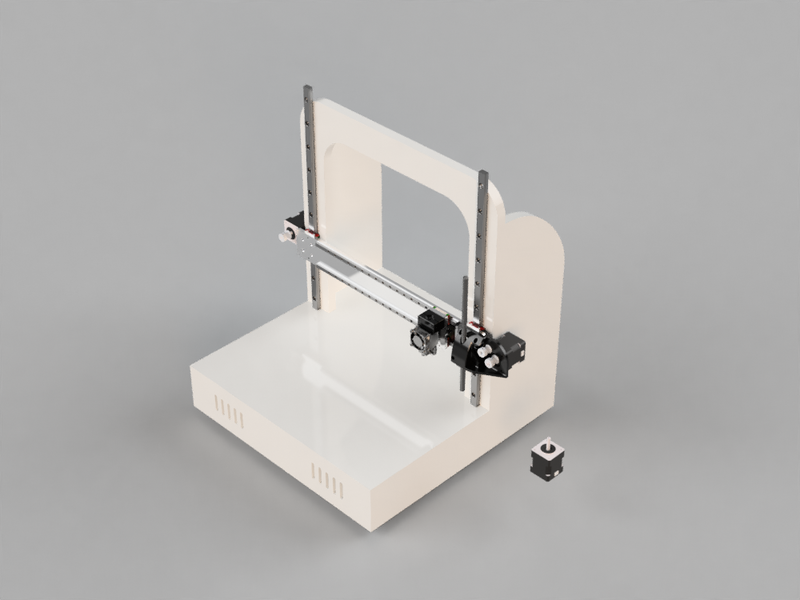 I have good experience with bowden so I don´t see any significant disadvantages at the moment. The second version with the new z and x mechanics. 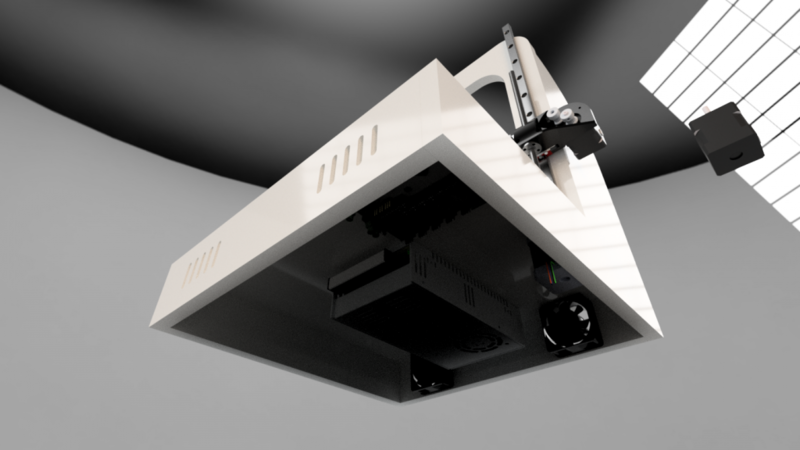 There are E3D V6 mounted on the gantry at the moment but it should be stable enough for light milling operations. The frame is designed with 16mm MDF in mind but I probably change to a different material (not OSB). Thats why I have to redesign most of the frame parts as the new material is somewhat thinner. Watching Thomas Sanladerer´s channel really helped me out making decisions at some points in the design process so thank you for your effort in making great videos, if you ever read this.